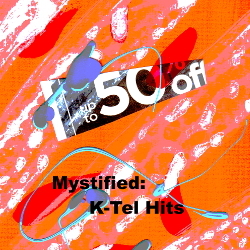 Not many of Mystified’s fans may remember his days as a featured K-Tel artist– appearing on numerous audio cassettes and vinyl compilations put out by the conglomerate. Here is a collection of classic Mystified hits from these days– celebrating a vintage pop sensibility. For those unable to collect the original K-Tel releases.